The first thing first, you can search in Google Play Store or iOS App Store for WeChat and get it installed in a few minutes. Like most other apps, it just needs your cell phone number to set it up. 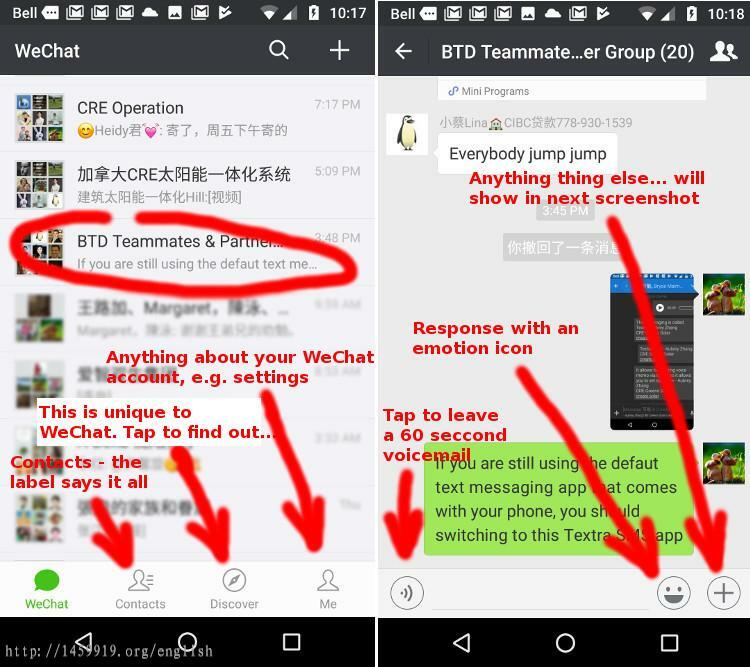 When you first open WeChat, you will normally see on WeChat main page something like what is shown below, chat groups listed before individuals if you set a certain chat group to be sticky on top. You will see "BTD Teammates and Partner Group". Well, I shortened it to "BTD Members & Partners" - anyone can change the group's name unless Joanna, the group starter and admin sets it so that no one else but the admin can change or add new members. Album: Adds pictures or videos from your phone. Camera: Adds a new picture or short video from the camera without the need of having it saved. Voice Call: Starts an online voice chat in a group or with a particular person. You can switch to the video chat on spot. Location: Sends your current geo location to a group or a person, if you set WeChat to track your location. Red Packet: Most people like this the most. Basically it allows you to send pocket money as long as you have money in WeChat. Contact Card: Sends any of your WeChat friend's contact info to WeChat a group or another person. Favorites: Saves a link with an icon and short extract. Files: Sends a file from your phone. You can move the left or right highlighter icon around to mark the text boundaries to be copied. The rest does not need to say anything more, right? 2. How to save a picture that I like? 3. What to do if tapping a link in WeChat does not work? Yes, it sometime happens. The easiest way is again "long press with a single finger" on the link, then you are given the option to open the link with your phone's default browser. 4. What to do if a link in WeChat opens but is blank or showing only partial content? 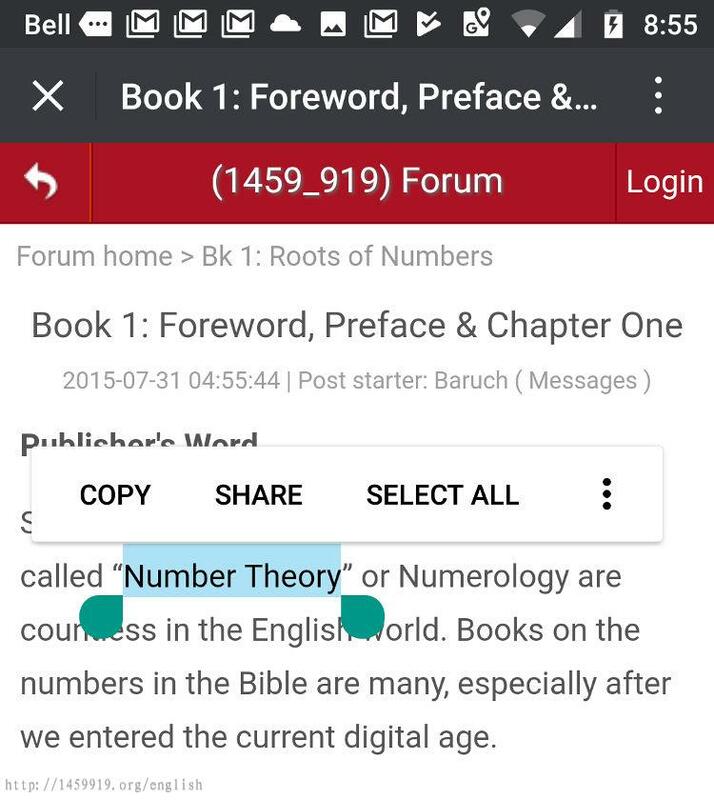 Tab on the right upper corner, then select "Open with Browser" you should be able to see the full content of the link page in your phone's default browser. 1. How to save or share a content that you like? 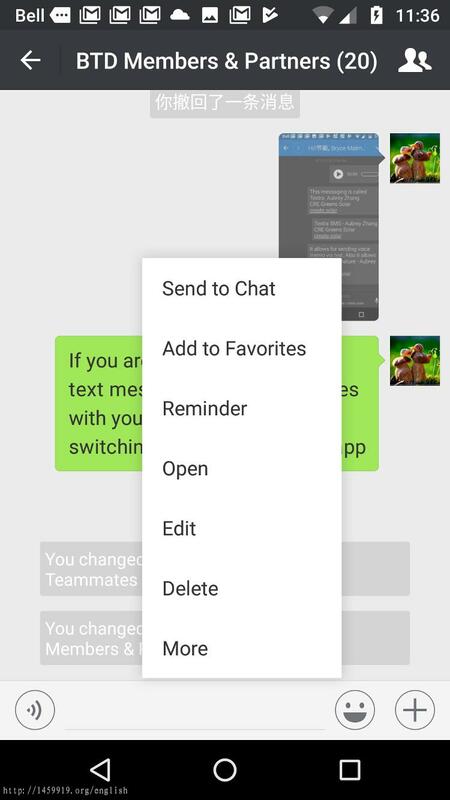 Use the "long press with a single finger" method on any content and then it will give you options to do many things other than SEnd to Chat and Add to Favorites. 2. I heard that WeChat has a unique function called Moments - what is that? Well, it is unique in a sense. LINE and QQ have it also. Basically it is a like a bulletin that you can post pictures and texts that only your friends can see - friends refer to those who add you and you add them mutually. Someone calls it the Friend's Circle. 3. How to post text only content in Moments or Friend's Circle? This is WeChat's secret feature. Normally when you post to WeChat Moments, it asks you to add at least one picture. To skid adding any picture, you can simply apply our favorite method "long press with a single finger" on the camera icon in Moments. Yes, as easy as that. 3. How to show my WeChat account's QR code for another person to scan and add me as WeChat friend? Tap on the "Me" button on the right bottom corner, then tab on the first line which shows your WeChat account icon, general nickname, WeChat ID and your QR code with a very low resolution. Tap on the QR code area, you will see your account's QR code in high resolution. 3. 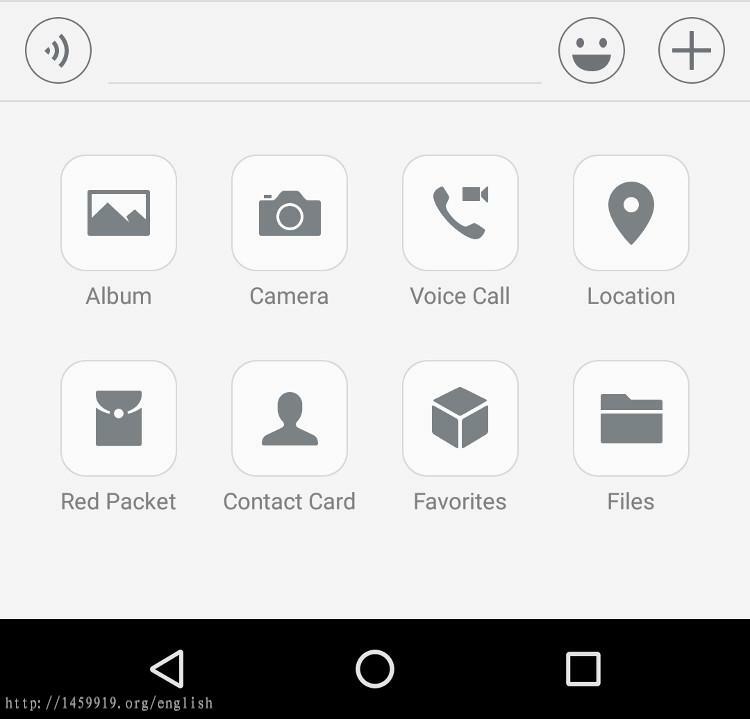 How to bring up the scanner within my WeChat? Just tap on the "+" (plus sign icon) located on the top right corner. 4. How to recall an entry? It happens all the time, when you post in a wrong chat group or to a wrong person, you want to recall it, right? You can do that within 2 minutes. The way is again to apply the "long press with a single finger" method to your entry and select "Recall". Note that you can always delete an entry any time you want, but this delete method only allows you to remove content from your phone. 5. How to pick a certain person within a chat group that you want to talk to? Normally you can simply start a one-to-one chat with that person. But if you want all members of a group to see your reply to a certain person, you can simply apply the "long press with a single finger" approach to the person you want to talk to. You can also type in the @ key and then pick a person from the group list, but this may not work on certain phones. That's it! If you have more questions, please do not hesitate to ask.